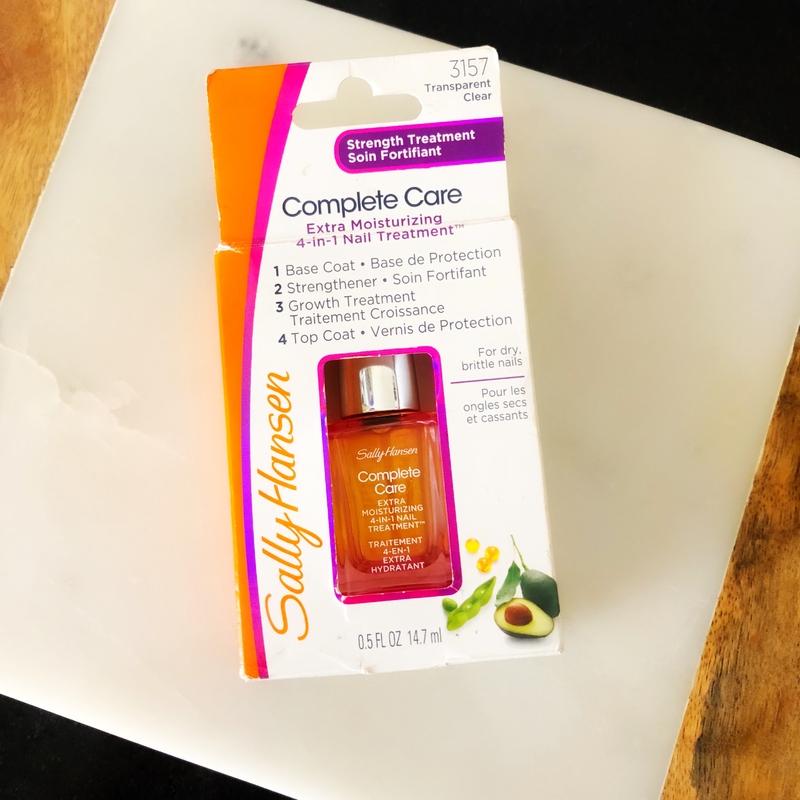 Sally Hansen is a very well known brand when it comes to nail care and today I’m sharing with you one of my all-time favourite Sally Hansen products, the Sally Hansen Complete Care 4-in-1 Nail Treatment. Of late my nails have become brittle and dry, so I find myself looking for products that can help solve that problem and help my nails become healthy and strong again. I came across the Sally Hansen Complete Care 4-in-1 Nail Treatment a couple of weeks ago and have fallen in love with it. It contains Avocado oil, Okoume extracts, Soy and Silk Proteins, Sea Minerals, Wheat and Micro-Technology to nourish and protect your nails. The patented formula creates a durable shield around the nail and helps to lock in moisture and restore the flexibility and strength of your nails. Well, let me tell you – it is true! I have been using this product religiously for about a month and I’ve seen such a huge difference in how my nails look and feel. Every now and then one of my nails would split at the top and no matter how much I buffed the ridges, it would not help. But ever since I’ve started to use the Sally Hansen Complete Care 4-in-1 Nail Treatment my nails do not chip or split. I like to use this on bare nails as a clear nail polish and I make sure to cap the nails as I paint them, as that makes sure that the nail tips do not split or crack. I think the Sally Hansen Complete Care 4-in-1 is a very effective and multifunctional nail treatment. I love that it is easy to use and that the formula is not goopy at all. After about a month of use, I’ve noticed a major difference in my nails – the ridges look much smoother, my nails feel less brittle and much stronger. Do I recommend this product? YES, YES and YES!